It’s well known that real estate in New York City is some of the most expensive in the country, but this new penthouse condo has taken the cake before its even finished. While still under construction, the most expensive home sold in the US was purchased by hedge fund billionaire Ken Griffin for a cool $238 million. More than double the last most expensive Manhattan home, the One57 penthouse which sold for only $100 million, this ultra-luxury flat may seem like insane price gouging, but looking at the price per square foot it’s a bit of a deal. Back in 2012 one of the 15 Central Park West penthouse units went for $88 million, which is about $13,000 per square foot while Mr. Griffin’s flat comes in at only about $10,000 per square foot. According to local real estate professionals, this property purchase says less about the market in Manhattan and New York City in general, and actually says more about Mr. Griffin himself. It’s a one-off trophy purchase, and you have to view it that way in the market. Stick to more reasonable properties to get an idea of what’s going on in the real estate market in NYC and stay away from the trophy purchases. While this property is the first to set a record, it’s certainly not the first insanely luxurious property for Ken Griffin. Just a little while before, he closed on one of the most expensive properties in London, a $122 million 2 century old home only a half mile from Buckingham Palace with a Gym and Pool. This New York City purchase isn’t his first record-setting purchase. In 2017 he bought the most expensive home ever sold in Chicago paying nearly $60 million for a four-story penthouse at No 9 Walton flat tower by Gold Coast. While not everyone can drop over a $100 million on their new home, other options in New York City put you in the heart of things without breaking records or your bank account. Your best choice is to find a real estate agent who knows the borough or neighborhoods you want to live in and make sure you plan for a long search to track down just the right home at the right price. 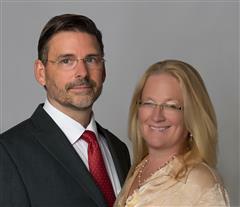 "A Personalized Approach to all your Real Estate Needs" Sharon and Kevin Kennedy have built Kennedy Real Estate Solutions with the premise of building relationships and finding creative solutions to unique real estate situations, both residential and commercial. The Kennedy’s work with their clients with the intent of getting a full understanding of the client’s current situation and desired real estate goals. With this understanding and the knowledge that has been acquired from over 50-years of real estate experience, Sharon and Kevin offer guidance and advice best suited for the individual client. Buying and selling a home can be an emotional and trying time for most folks. The Kennedy’s are sensitive to their client’s needs in this ever changing real estate environment. They are with them every step of the way and will help to address whatever challenges arise. 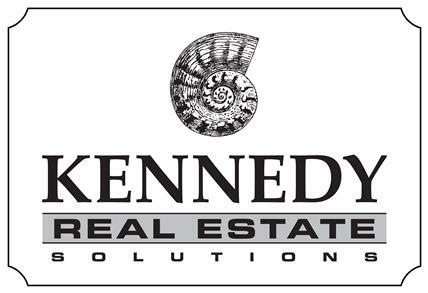 About Kevin J Kennedy, Broker/Owner Kevin J. Kennedy is a dedicated and successful Realtor/ Broker. He helps his clients buy and sell homes throughout the beautiful Lower Connecticut River Valley and Connecticut Shoreline. Since buying or selling a home is a major life event for most people, both financially and emotionally, it is important to have an agent you can trust and with whom you feel comfortable. An essential part in creating a great real estate experience is choosing an agent who is detail-oriented, has up-to-date market knowledge, and is a skilled negotiator. Kevin offers all of these qualities. Today, many buyers and sellers insist on the advantages of cutting edge technology. Via his web site and IDX property finder, Kevin delivers. Using these state-of-the-art tools, his buyers save time and energy during the house-hunting process, and his sellers are able to reach numerous prospective buyers. Kevin is highly regarded in the real estate community and is a consistent top producer. He lives in Old Saybrook, is an instructor of T'ai Chi and QiGong, and enjoys photography, music, and kayaking. Call Kevin at 860-304-4433 About Sharon S. Kennedy, Realtor Sharon grew up in Old Saybrook. Her family owned and operated one of the first local real estate companies. She first received her real estate license in 1988 and now has more than 35 years of real estate negotiation experience. Sharon enjoys gardening, spending time with her horses, chickens, cats and dog along with preparing wonderful vegetarian meals for her family. She is knowledgeable in homeopathy and natural remedies. Today many buyers and sellers insist on the advantages of cutting edge technologies, Via their web site and IDX property finder, Kevin and Sharon provide state-of-the-art tools. Contact them today to discuss your real estate needs.